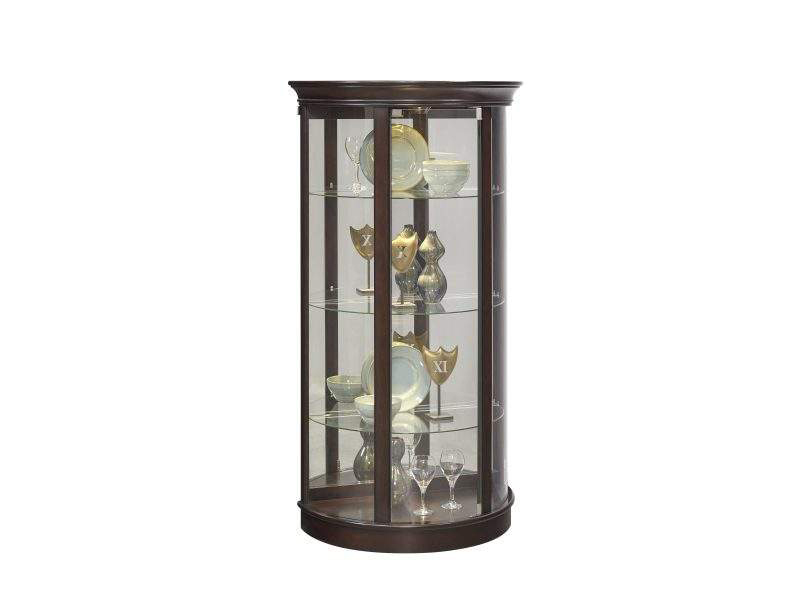 The classic curved shape of this curio provides a simple silhouette. Its small scale makes it a perfect option for tight spaces. Three adjustable, glass shelves hold your most prized pieces, while the three way touch light gives life to its contents.